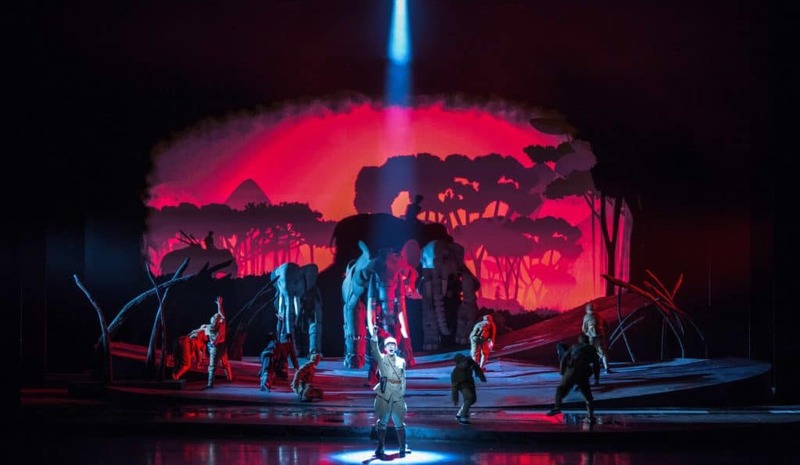 The Last Warrior Elephant tells the moving tale of Ga Suo, the eponymous animal that survived a war that took place in the Chinese prefecture of Xishuangbanna, in Yunnan province. 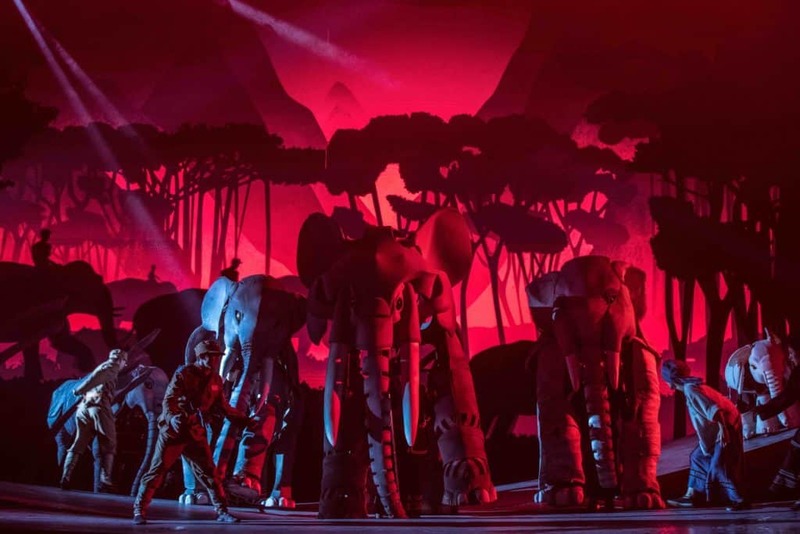 Adapted from Shen Shixi’s famous children’s story of the same name, this brand-new production was brought to the stage by SMG Live, featuring fabulous puppets created by the Shanghai Puppetry Company. The story follows the heart-warming friendship between young Bo Nongding and Ga Suo, as seen through the eyes of Bo’s older self. Taking place over a number of years, the narrative sets the action in a series of locations conveyed in a distinctive, two-dimensional storybook style. As the older Bo Nongding recalls his friendship with Ga Suo over the years, his memories of the times they have shared together materialise through a sequence of monochrome, painterly reliefs, bringing them vividly to life in front of him and the audience. 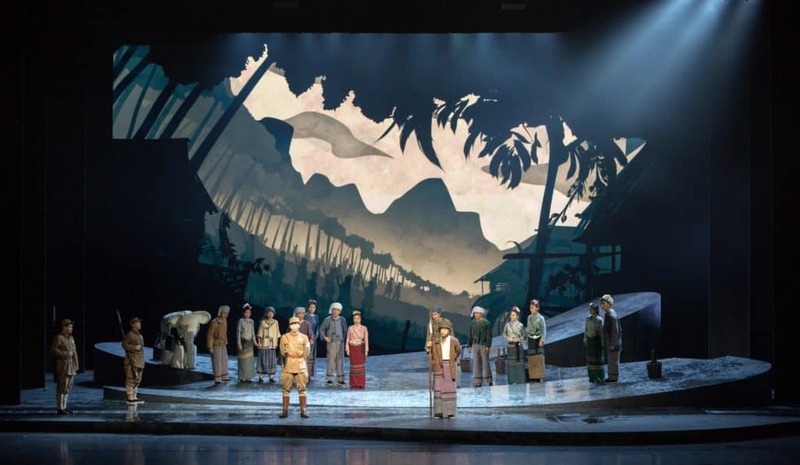 59’s design team approached this compelling story with relish, utilising the stunning set design of stage designer Shen Li to reveal a series of locations across three key layers of the set. 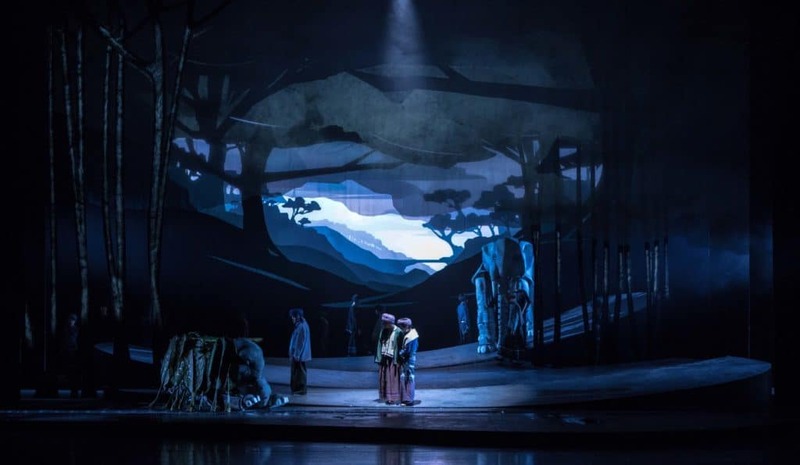 Firstly, a high-resolution LED screen at the rear of the stage provided an impressive cyclorama, upon which the landscapes of the tale could be brought to life. Crossing a variety of environments, including luscious rainforests, village scenes and rocky, mountainous regions, the 8K screen enabled the panoramas to be revealed in gorgeous detail and depth. 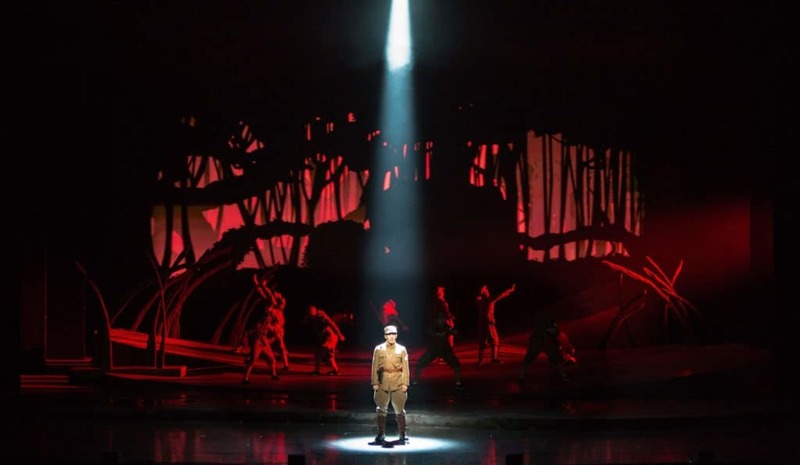 Secondly, a series of three tree trunk-shaped set pieces allowed 59’s team to add colour, light and texture to the stage picture, complementing the lighting design of award-winning lighting designer Ren Dongsheng. 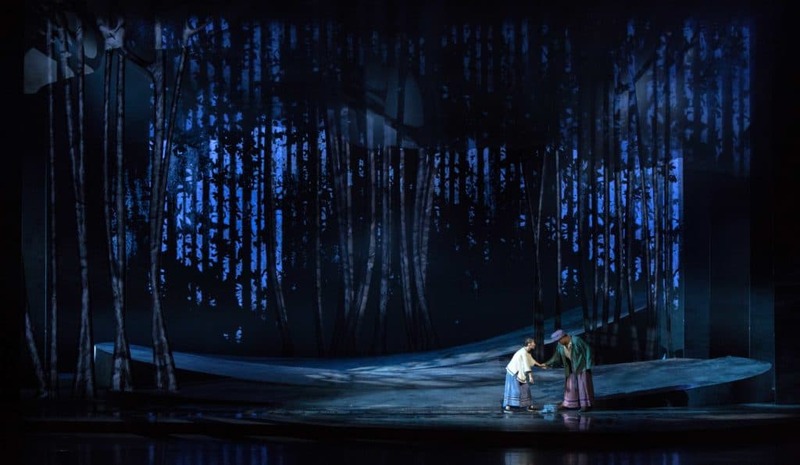 Finally, the image is completed by additional projection on to a series of three gauzes hanging above the stage at different angles and lengths, giving the opportunity to add a variety of three-dimensional effects, such as stars in the night sky or animals including birds and fireflies. Viewed together, the combination of surfaces creates an evocative, enthralling environment for the story to play out within. 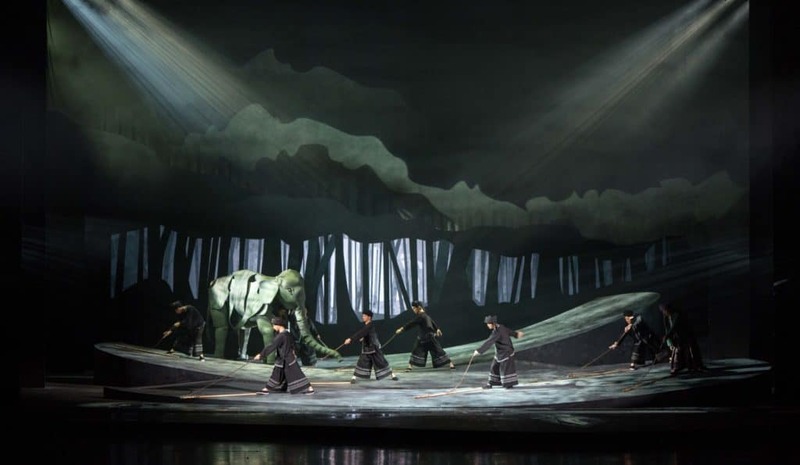 In creating these atmospheric surroundings, 59’s projection design completed a striking visual aesthetic, allowing the tale of Ga Suo to be brought to life through a thrilling combination of movement, beautifully composed songs and passionate storytelling, establishing an ambitious new standard in modern Chinese theatre.